The European project has complex roots, and most of these are largely irrelevant to what it is to do next. Our assertion is that Europe is a means by which member organisations find the proper scale at which to operate for many or all of their constituent parts. Some of these levels will be transnational, perhaps even pan-European; some will require the EU to negotiate in order to generate peer accords or even global accords. That said, the vast majority will be sub-national in scale, whereby specialised regions or cities strive to accommodate themselves and their distinctive strengths to the external environment. Europe, in this sense, is the mechanisms by which this is done in a harmonious and secure way, under overarching values and principles, based on economic and regulatory mechanisms that harmonise what is being done and prevent unfair competition, free riders and the other negative externalities that markets will generate. Its future consists of taking the notion of subsidiarity very seriously. The EU is not intended, nor equipped, to govern Europe. Of Europe's millions of civil servants, perhaps one per cent is employed by the European institutions. The European nations and the European continent can both be seen as entities defined by a civilisation, culture, traditions, a common history. The same can be said of regions and many cities. Nation-states are, nonetheless, the guardians of their citizens' entitlements and interests. The nation-states act as cooperatives or insurance companies for all people who hold their passports - and they explicitly do not do this for foreigners. The notion of subsidiarity has distinct meanings across the Atlantic ocean. US political commentators use it to refer to the principle that the state should never do what private forces can do better. The European notion, derived from the Catholic church, is the principle that every political choice and state-mediated activity should occur and be managed at the most dispersed, least centralised manner possible. The concepts are explored in more detail in Wikipedia. The notion of subsidiarity was first evoked to find a criterion as to which policies should be decided and undertaken at national level, and which at the level of the EU. The nature of what is delegation and to whom needs to clear. The matters delegated will have overlap with matters that have not been delegated, and the local leadership must have a common-sense understanding of when reference to higher levels is required. Local leadership needs to be defined, and its decision-making processes set in place. It needs to liaise informally with central authorities. As indicated, the subsidiary body must have formal decision-taking mechanisms that are embedded in proper process. An important part of that process are mechanisms through which the overall nature of the environment is recognised. This needs to be more than an informal assessment and will frequently work closely with higher levels: in a military context, local forces will spend considerable time understanding "threat topography", and defining various options in respect of it. They will usually refer back to central facilities for intelligence, weather reports and so on. They will link with other dispersed forces and services - for example, aerial reconnaissance. This does not happen effectively without considerable work and training, notably in organisations where the criteria are more nuanced and the operating environment much more complex: for a European region, for example. Goals - whether imposed from above or generated locally - are both clear and with any potential conflict between them either removed or managed. Over-specified goals can prevent local accommodations, and the most successful goal setting combines specific targets with a statement of general aims and principles. This is particularly important where mutually incompatible but desirable things have to be given their due weight, or where a wide range of constraints and moral limits have to be met. Subsidiarity is now a modern reality. Industrial states tend to push as much as they can out from the centre, particularly in respect of operational matters. They have to do this in two very separate ways. One is geographical, whereby greater autonomy is granted to regions and major cities. The less obvious dispersal of power is non-geographical, but concerned with the delivery of state services. Topics such as central banking, health provision and regulation are placed in the hands of independent entities, which quickly find useful links with their peers elsewhere. All of these must meet the criteria that have already been discussed: clear delegation, local insight generation, properly designed criteria and goals. The partial delegation of power is a response to the complexity of the modern state, which would otherwise become ungovernable. Delegation allows centres of excellence to handle their own affairs under the general guidance of elected authority. This approach fits extremely well with the necessary dynamics of the economy as it responds to competition and change. By contrast, the centralised, one-size-fits-all approach of the planned economy is plainly doomed. However, earlier notions - that markets, alone, would be sufficient to manage complexity if only liberated from state control - has also proven inadequate. Bubbles, uncontrolled market externalities, land use conflict and sprawl, corruption and many other difficulties arise. The upshot is invariably conflict between the central state and commerce, often embedded in the unfortunate rhetoric of the state as being the protector of the people from predatory commerce. Commercial interests then adopt the tactics of lobbying and the rhetoric of "red tape" and "bureaucracy". This syndrome is already strongly developed in the US, where it wastes money, energy and leads to deadlocks. There is a better way. That 'better way' is subsidiarity, as already described: local decision-taking harnessed to the needs of local society, a part of which is its commerce. Local conditions are then adjusted to meet the needs to all of the parties. If this oppresses minorities or appears short-sighted, then higher levels of governance come into play. "Higher levels" are not necessarily more important than the local ones - that is, subsidiarity is not equivalent to pushing the boring trivia to a local level - but they address general or more abstract issues than do the local. Understanding this model, let us now apply it to the European Union. The role of the EU has often been compared to a federation such as the US or Germany, whereby states have rights and the Federal government has a duty to check excesses, oversee performance and handle matters that need national attention, such as defence. If we combine this traditional model with the de facto response to complexity that we have just discussed, we see a completely new configuration. Some national activities that are managed by devolved powers will tend to link to their peers in other EU countries. Indeed, will often need to do so, as with central banks. 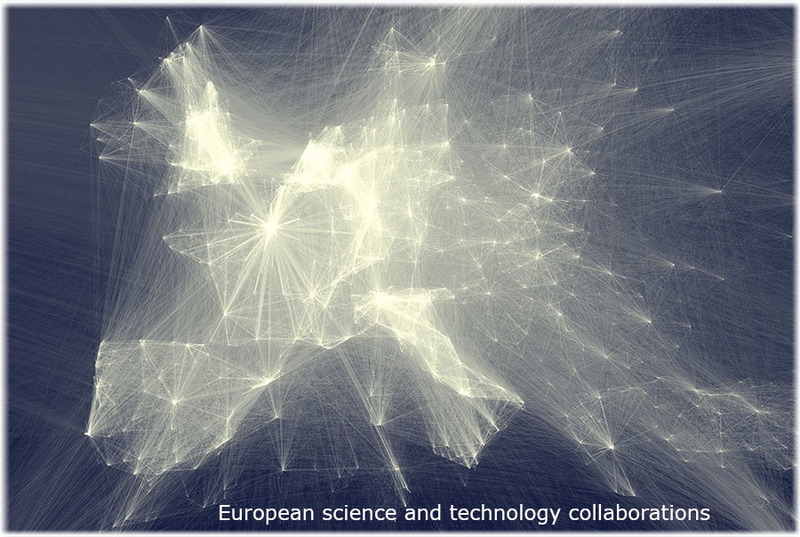 Health, transport and similar domains have much to gain from collaboration. Second, however, we also see a tendency for differentiated sub-national areas - cities, industrial centres, transport hubs, financial complexes - to need separate balances in state spending. An area with a huge retired population will have different needs from a dormitory area, filed with young families and children. Traditionally, states have tended to choose administrative zones which mix rural and urban, industry and domesticity so that the mix remains roughly constant. This may not be the way to go, however, as the success of the city states such as Singapore and Hong Kong might suggest. Ireland set out to make itself "friendly" to transnational companies, and achieved double digit growth as a result. Some US cities have done the same thing, with powerful results. Many cities are now actively zoning themselves in order to generate "clusters", centres of technical expertise with the facilities and life style that is attractive to those engaged in this. The style is too effective not to be adopted widely. Indeed, maintaining economic competitiveness may depend on broad scale economic balances, on the one hand, and geographical specialisation and focus on the other. Dispersed industries do not have the same power as clusters, and clusters have specific demands: regulation, education, security, energy, transport and so forth. In addition to this, many sub-national regions want to assert their identity. THis is the headline form in which subsidiarity tends to express itself. Shell UK scenarios, published in 1994, saw a successful Europe as the cause of the disintegration of many nation states into a patchwork of political entities. They used the analogy of Airfix models, the little model aircraft made of plastic that children glued together, and frequently got wrong. You could put them into a bowl of acetone, which dissolved the glue and they fell apart: like Scotland, Catalunya, Pais Basque, the Italies, Belgium, Bavaria... Europe has 271 official sub-national regions - the NUTs - which can be seen through a series of Eurostat maps. Clearly, one size is not going to fit all, and the sooner European institutions recognise this the better for everyone. Indeed, the survival of the Union may well depend on this: from Euro membership to labour markets, it is absurd to assert that Germany is similar to Greece, or that it may come to be similar in less than generations. However, Germany itself is a federation of states with considerable differences and identities. Inside those states, cities differ from each other and the countryside around them: increasingly in ethnicity, certainly in values, hugely in what commerce requires from the state in order to thrive. How much better, therefore, to think in terms of pluralism and differentiation under a unifying regime that generates stability and guards the population from local power, from extremes and from considerations that are national or transnational in scope. How much more manageable such a structure would be, however complex. One size will never fit all, and the principles of European and national governance should recognise this. It is easy to lose one's way in abstractions and jargon. 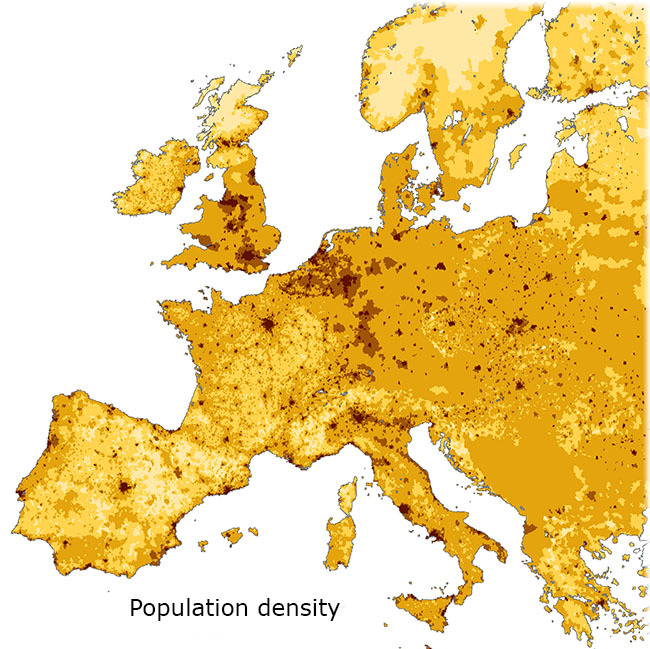 Consider a small region within Europe. It has the potential to use knowledge from and trade with the world, but it has special access to European capabilities because machinery has been constructed to help with this. It is a port, with a tradition of oil rig construction, and its education has become tilted towards the relevant skills. Its local ethos has come from its past - fishermen, oil workers - and its female population are community focused, independent and the main strength behind local politics. European and national institutions supply many of its broad needs, but it has local control over municipal planning, elements of taxation and a considerable amount of the portfolio of state expenditure that occurs within it. The state - and Europe - define limits to this discretion, but it enjoys sufficient independence that after a decade real differences are visible between its identity and that of its neighbouring regions. It is playing to its strengths and to its values. Earlier in this series of papers, the role of micro currencies was discussed in the context of the Swiss WIR banks. Subsidiarity offers a role for such arrangements: under the "gold standard" of the Euro or other mother currency, subsidiary regions could achieve independent exchange rates based on local currencies. Not all transactions would need to be handled in this way, but an important degree of freedom would be introduced into the activities where they were relevant. The structure that emerges from this is both unified and diverse, monolithic and many layered. That is, there is a broadly pan-European consensus on essential principles - public hygiene is good, preventative medicine is better than curative intervention - but the weight placed on this varies strongly from place to place, However, nowhere is the opposite stated as a truth. It may be that out sea-facing region with its oil rigs and fishermen places a different weights on how it runs it health or schooling system from a nearby community that is dominated by an elderly, retired population. In common with many of its member nations, Europe is at a philosophical, operational and aspirational impasse. It does not truly know what it wants to become - indeed, what it is - and even if it did, it lacks the machinery and democratic legitimacy to set out as a body in the chosen direction. The consensus amongst European politicians is that the solution to the financial crisis lies in faster integration. It is said that the Euro can only survive if members adopt not only a common discipline, but also enforceable central management. It is undoubtedly true that a currency can survive only if the constituent parts of the economy that it represents behave with uniform proper management. However, the Euro is there to serve nations that want to take on this common economic probity. not to symbolise a central managerial regime. A durable Europe is not, therefore on its way to a super-state that will crush the nation-states unless the nations truly wish to be subsumed to it. The "Airfix" model, with a myriad of harmonious regions each playing to their strengths within unifying assumptions and values is the only approach that is likely to succeed. This will take generations to occur fully. It would be attractive only if it could be shown to be a credible response to a very fast changing world. Small entities can generally react more quickly and precisely than can large ones provided they have access to decision support, a broad range of supportive institutions and trusted partners with whom to work. Europe the idea needs to acquire the trappings of process so that its members are able to deal with complexity in this way: they will have to do this for themselves anyway in the years ahead - so the ability to coordinate such actions ought to be welcomed. Subsidiarity does, however, challenge the power of national governments. It goes against the deep sense that Germany is there to look after the needs of German people, not the Dutch. In seeking efficiency and common institutions, sovereignty and national advantage has to be given up. There is clear need to deliver a Europe-wide response to the global challenges of the 21st century, if only to do so with international impact and at lower potential cost. The cost and waste of competing standards and regulations is, in today's hyper-competitive world, a severe disadvantage. Economies of scale provide decisive advantage for commerce when acting on the world stage. These advantages do, however, reduce to Europe-as-a-customs union; and from the perspective of national politics, offer little in return for the loss of sovereignty save in the unlikely situation in which each nation perfectly trusts every other. European history is not, in this regard, encouraging. Surveys show that citizens have an intuitive understanding of subsidiarity: that is, in which domains decision-making should be national and where European coordination is required. (But nobody has much asked about regional and sub-regional subsidiarity and the role of the nation state in this.) There is some disagreement on the details and specifics of this, but most seem to agree that, for example, the integration of Europe's air traffic control or its patent system makes sense. Equally, people perceive that the quality of life is created close to home. The nature of that closeness is, however, often that of the city or economic region. The role of the nation itself - once a functioning Europe is in place and subsidiarity is growing amongst these actors - is not entirely clear. What, reasonably, has to be done at the national level when these other two actors are fully engaged? So: it then becomes a choice as to which of the three actors is to be eliminated. The casualty is unlikely to be the national government; yet perhaps it ought to be. National averages are in many instances meaningless or even misleading. It is not logical that congestion charges, electronic dossiers, tourism, immigration, environmental issues, etc are by definition handled at the national level. London and the South East of Britain great nearly half its gross product, and have little in common socially or politically with the British periphery. The Paris region has more in common with Frankfurt than it has with Provence. As already noted, attempts to define regions that have broadly similar social and economic constituents generate over a hundred potentially self-managing regions. Europe has been discussed in the context of "convergence". This means three things, each to different audiences. There is economic convergence, meaning that Greece - say - will be as wealthy and productive as Germany. Development economics tells us how this is achieved, and it is through sound institutions and attractive economic conditions and products, consumption that is in line with income and a realistic population that knows its place in the world. Even with Chinese growth rates an din the unlikely event that Germany stood still, bringing Spain into economic parity with Germany would take generations, and longer for Greece or Southern Italy. It si safe to say that this model - which the formation of the Euro in effect assumed to be complete - is not going to happen any time soon, whatever accords may be arrived at. "Convergence" also means a consensus around governance that will see greater political fusion, as states find that more and more can be handled at the European level. It is fair to say that this model is in sharp retreat. Third, "convergence" can mean the general cohesion around a set of procedures and values that help this or that polity find its way in the world. Such procedures must be perceived as such by the general public. This note has discussed what this may entail. In none of these three senses is European convergence decided in Brussels: indeed, none of them can be "decided" but only delivered by long and hard work by those involved. Although the EU can facilitate the process by eliminating barriers, it is the end result of numerous decisions made by consumers, tourists, Facebookers, advertising agencies, English-speakers, the television world, multinationals, and so on. Integration is not dependent on politicians deciding that it is a good idea. Multinationals and consumers decided long ago that their logistics, marketing and other operations can only be optimised if they look across, and where possible ignore, national borders. Economic truths cannot be wished away, or much abated. The Roman notion of politics was to advance the interests of your supporter base, crushing those of others. Competition for office was carried out both with this in mind and using the forces that these interests could deploy, from bribes to armies. Classical parliamentary democracy, by contrast, still uses interest-related parties, but is imagined to work for the good of the nation, and imagined to settle disputes through rational debate. A political elite works with big, general ideas towards these ends. First, many of the truly big ideas are now ringed with evidence and effective theory. We know what makes and breaks an economy, and why. We know how to run a health system, telecommunications or traffic in a city. The main problems in these things exist where entrenched interests will not permit the change which knowledge dictates. That knowledge is arriving from a host of peer agencies and activities, such that denial becomes a less and less feasible option. The weight of knowledge about policy-related issues lies outside of the state. Mass media and specialised channels of communication provide devastating critique, if not at the time then in retrospect. Political options get closed down, poor decisions become high lighted by later analysis. Markets and other forces react to the entire body of information in ways which cannot be ignored. Populations are becoming too complex to bundle into two or three parties; and partisan themes are often poor places to start when assessing a major issue. There was no Left or Right take on the financial crisis, but rather many of them. Indeed, what we now know that every population is comprised of psychological types that have quite different notions of what a good political compromise would feel like, of what an answer would look like. In order to patch over this, societies develop narratives, ways of talking about events that compromise around solutions that match and artificial national ethos. Europe has many of these that revolve around a common set of decencies, whilst the US, Japan and industrialised Asian countries tend to be dominated by a single narrative, albeit each with a different one. This is also true of many predominantly Islamic nations. Countries with an "official" narrative that has nothing to do with what actually occurs on the ground have great difficulty in retaining coherence, an observation which is particularly pertinent to Russia, China and many other middle income nations. Politics will, therefore, juggle the constraints provided by interests, by evidence and expertise and their operational wings, the media, financial markets and commerce, and by the narrative that the population has adopted. All of these change ceaselessly and in aggressive competition with each other. Notions that seemed solid and a core for national action are discarded within years: notions of the abstract wisdom of markets. the neoconservative rationale of George Bush or the perspective advocated by Jacques Delors about Europe have not survived. We now think differently about anti-social behaviour, the protection of privacy, the financial Masters of the Universe or the integrity of our elites as compared to a few years ago. How this change occurs is, at present, essentially chaotic. Individual situations are challenged by events or by critique. A media panic, an election, a pressure group or a legal judgement can throw the current settlement up in the air and the settlement that emerges may or may not be closer to an operational optimum. Occasionally, this piecemeal annealing fails, and there is a catastrophic realignment, as with the state deficit issue in Europe or the financial crisis in the US. That is, change occurs when a certain momentum - what chemists would call activation energy - is achieved. It then happens without structure and often with near-random outcomes. This could be avoided through better process, where a challenge is framed by understanding, measured disagreement and accommodation to the proper scale of the issue. The lack of such process is the key weakness that has led to Europe's present impasse and paralysis. Objectively speaking, European nations "have what it takes", but through lack of integration through process, the total is considerably less than the sum of the parts. This means that any redesign of European institutions should focus chiefly on the creation of this process. This requires a suitable model. Which model we consider suitable depends on how we see and explain current developments. Certain models are clearly out of date, such as the model where only the opinions at the top of the hierarchy matter, and the elites impose their ideas and decisions on the nation. Equally,, the model that has Europe as the outcome of contested, self-interested negotiations amongst member countries as the entire process cannot be viable. The negotiations between European countries are insignificant when compared with the intense political debates within countries. Where the European process most acutely fails is in practising subsidiarity - in re-perceiving the European reality. The reality is that Europe is not a concert of peers. Its members are highly dissimilar, and have considerable variation within them. Europe is not the membrane through which its members touch the world. It is the hub through which they communicate about their myriad links to the wider world. It is the structure that should think long thoughts, search for insight and understanding and build networks of expertise. It can never be the voice of disparate a groups or peoples, but it can help individual communities find their place in the world in ways that enforce a union of minds. Individuals and interest groups have an increasingly loud voice, and the notion of an abstract, slow moving central entity as the summation of what they have to say is, at its kindest, nineteenth century. Yet, through process, it can be the conduit through which they speak and come to insightful and useful conclusions. Even partial socioeconomic integration across Europe has generated a vast interchange of ideas, of commercial and political links and of the exchange of best practice. It has dispelled for ever European nationalist solipsism, the cause of so much conflict. It has put in place the means by which broadly similar peoples can get on as well as can be expected of any disparate group. It societies will become more and not less diverse over time: diverse in opinion, in connection with the rest of the world, in commercial accommodation to events, in specialisation around service offers or manufacturing output. Solutions to the problems that face Europe will draw on this network, but good solutions are going to be highly differentiated and focused, both geographically and on operational structures such as industries and state service provision. Such localisation can only be managed through genuine subsidiarity. Actual solutions will come from the pool of expertise as applied to local interests, values and assets. IT and other means of integration can resolve the complexity that this generates: this is, of course, exactly what commerce does already. The outcome is the opposite of a monolithic, centrist Europe. It leads to a new pluralism, held together by common interests and high-level values. This is very much in line with the New Narrative scenario, very much 'not the US' and very much not the status quo or the official future. It represents a complex and flexible response to a complicated and fast moving world. 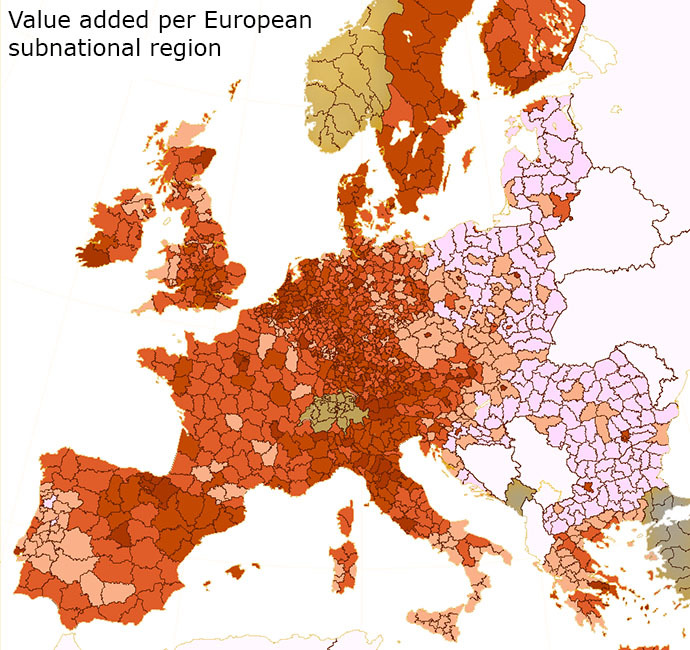 This is the realisation of "Europe and an idea", as a set of values and deep cultural connections, reinforced by geography and economic exchange. It is as diverse as it wants to be.